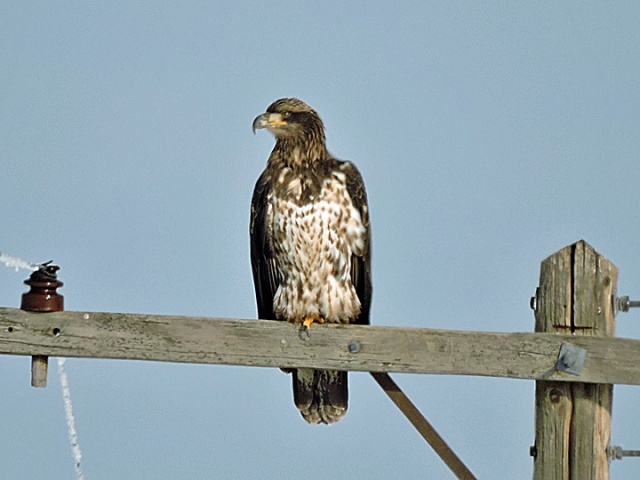 Young Bald Eagle (basic/subadult I, lightly-marked type) along Marion Drain Rd. east of Hwy 97 south of Toppenish, WA. Dec. 17, 2016.